What used to be a no-no for homeowners, small space living or mini homes are now becoming fast favorites. A preferred house type for single peeps has also become an option favored by many couples and young families. What made mini homes evolve from an indie to a pop star? These important factors made living in a small space easier, more convenient and simply better for a great number of homeowners. Couldn’t this be a more obvious but amazing fact! Living in a smaller house saves you a lot of money and less energy to maintain. Electricity and heating bills, as well as water usage will be considerably lower. 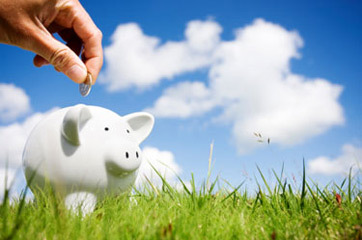 Saving money from home expenses would allow you to spend for other things and life plans that you have. With a small space for household chores, you can also do away with unnecessary or excess home stuff. Cleaning will be way easier too! And if you’re on the “messy person” spectrum, you do have clutter but hey, it will be a lot less! When we are with limited resources, we are pushed to be more creative, proactive, initiative and determined. Same goes for having a small space. Your home decorating skills are pushed to its maximum capacity on making things fit nicely in a compact space and making a small home look welcoming and grand in its own unique way. So you get to be creative with storage, furniture positioning, choices of furniture and decors, and even interior design. Choose multi-purpose furniture such as a coffee table that can be folded upward into a dining table or a sofa-bed that will come in handy for a guest staying in. Go for functional and space-saving items. Mirrors reflect light and open up a room to make it look bigger. A mirror on one side of the wall is a good idea for opening up the space. Do away with color contrast but instead opt for tone-on-tone, neutrals or decorating in a similar/single palette. This also creates an illusion of a bigger space. Decorate “upwards” as they say – hang a piece of art high up on the wall, install shelves high up to draw the eyes upward. If you are fine with reducing interior walls, knock down some to open up and increase the floor plan. As lifestyle changes to becoming more hurried and convenient-friendly, easy to maintain homes take center stage. It doesn’t mean that living in a smaller home means giving up comfort. It just means adjusting and embracing change in home living, which is a good thing! Getting to save more time and money in the process gives you the chance to actually live a more comfortable, fuss-free life.